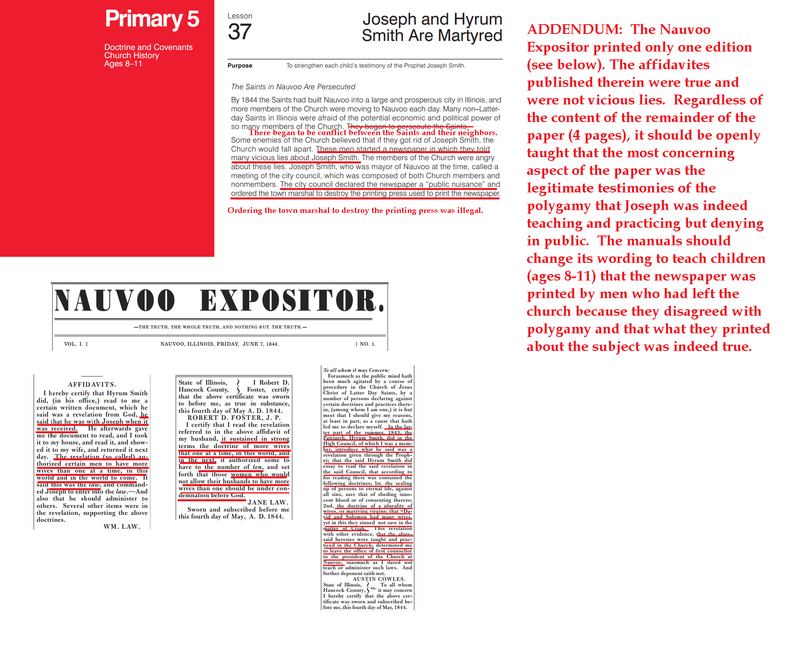 See Addenda #40 and #41 for more details about the martyrdom. This entry was posted in The Martyrdom and tagged Liahona, Liahona 2008, Liahona 2008 December, Magazines on August 5, 2014 by claytonbhess. This entry was posted in The Martyrdom and tagged Manuals, Primary, Primary 5, primary 5 chapter 37 on August 4, 2014 by claytonbhess. 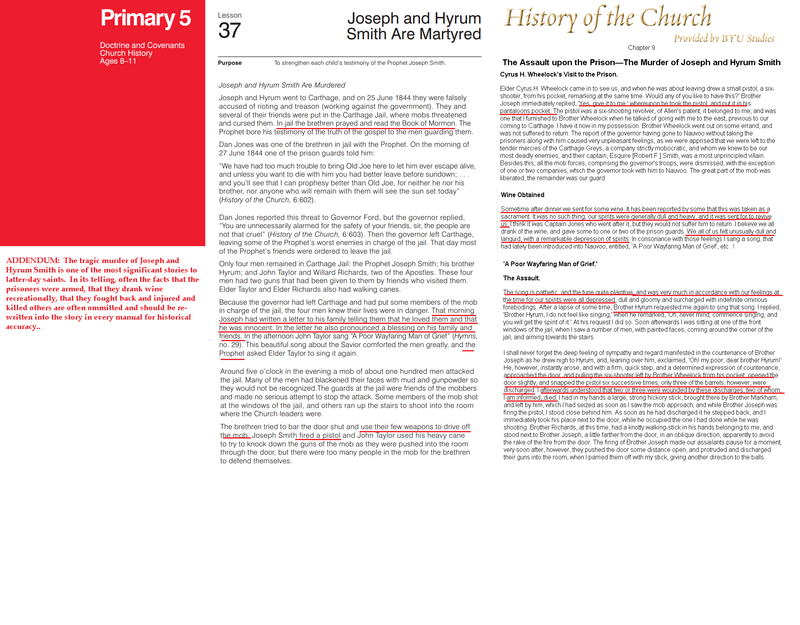 This entry was posted in Polygamy, The Martyrdom and tagged Manuals, Primary, Primary 5, primary 5 chapter 37 on August 3, 2014 by claytonbhess.